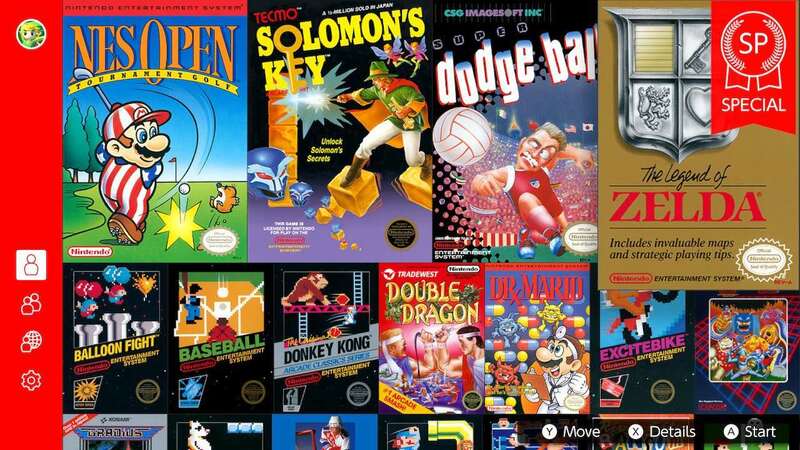 Nintendo Entertainment System – Nintendo Switch Online has, as promised, been updated with new games this month in NES Open Tournament Golf, Solomon’s Key and Super Dodge Ball. But, Nintendo has also thrown in an extra surprise for subscribers. The Legend of Zelda SP – or The Legend of Zelda: Living the life of luxury! as it is otherwise called – has been added as an unexpected fourth game, described as a “souped-up version” of Link’s first adventure where you start with all equipment, items and 255 rupees. “In this souped-up version of The Legend of Zelda, you’ll start with a ton of rupees and items!” the game’s description explains. Nintendo will add Metroid, Mighty Bomb Jack and Twinbee to the service in November, with Adventures of Lolo, Ninja Gaiden and Wario’s Woods coming in December. The pricing plans for Nintendo Switch Online are £3.49 ($3.99) per month, £6.99 ($7.99) for three months or £17.99 ($19.99) for 12 months. There is a 12 month Family Membership for £31.49 ($34.99) that will allow a Nintendo Account holder to “invite up to seven others to join a family group” that will all have access to Nintendo Switch Online. Next articleFIFA 19 Review | Trendsmedia.